Eight of the students and alumni who petitioned to testify at the upcoming Harvard admissions trial will have the opportunity to speak in support of the College in court, U.S. District Court Judge Allison D. Burroughs ruled Wednesday morning. Burroughs’s ruling came as part of the case’s final pre-trial hearing, which lawyers for Harvard attended along with attorneys for Students for Fair Admissions — the anti-affirmative action group that sued the University in 2014 over allegations that the College discriminates against Asian-American applicants. Harvard has repeatedly denied all allegations of discrimination and argues the consideration of race in the admissions process is vital to achieve diversity at the College. Harvard asked the court last month to admit testimony from the students and alumni. SFFA, however, claimed such testimony would be irrelevant, arguing that the individuals are unfamiliar with the intricacies of the Harvard admissions process. But the student and alumni petitions — as well as Harvard’s on their behalf — won the day. When the trial begins on Oct. 15, the witnesses will have their day in court — though that means they may also be subject to cross-examination. “Both amicus groups offer to present testimony from individuals with valuable perspectives that will otherwise be absent from the trial record,” Burroughs wrote. Burroughs also handed down a ruling Wednesday regarding what evidence will remain sealed in the case. She said that any documents that either Harvard or SFFA “rely on” in the trial must become part of the public record. Burroughs agreed to grant certain exceptions, however, agreeing to redacting sensitive information such as students’ names. “If we rely on it, I feel like it should be in the public domain,” she said. Burroughs asked that both parties limit the volume of their evidence submissions in order to avoid “a wholesale data dump” that would unnecessarily prolong the trial. How confidential information is handled in the case was a major bone of contention between Harvard and SFFA in the pre-trial phase of the suit. 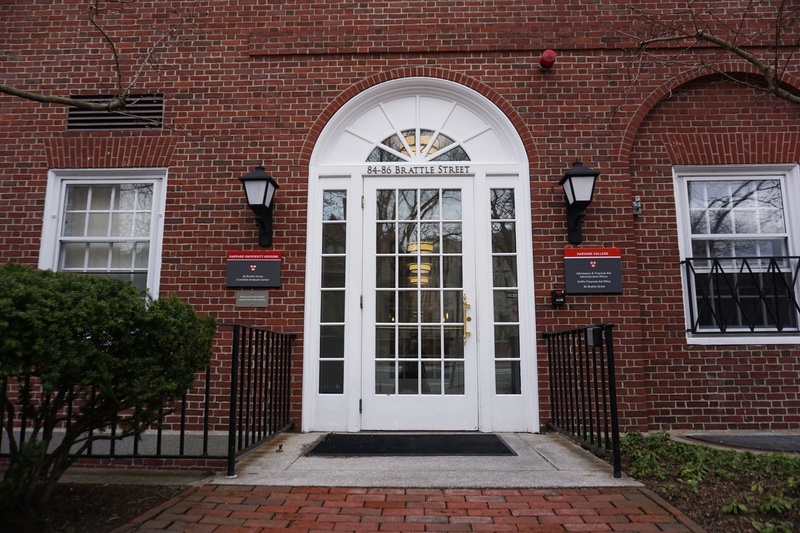 SFFA pushed for the unsealing of many documents filed as evidence — such as internal admissions office emails and student application files — while Harvard repeatedly demanded privacy for its students and faculty. Several thousand of pages revealing previously confidential details of Harvard’s admissions process — ranging from the school's rating system for applicants’ “personal qualities” to the substantially higher admit rate seen by Harvard legacy students — became public over the summer. Another outstanding disagreement between SFFA and Harvard was whether Harvard’s history of anti-Semitic discrimination during the early 1900s may be discussed at the trial. Burroughs decided the evidence would be allowed at the trial, but only in a “very limited” capacity. Harvard previously argued any historical discrimination has no bearing on the current allegations, while SFFA argued the decades-old evidence points to a history of discrimination perpetrated in the College's applications process. Burroughs told the lawyers she believes this history is of “limited relevance” since a “vast amount of time” has passed since that era of admissions at the College. Though the trial was originally scheduled to last three weeks, Harvard and SFFA suggested they may need as long as four weeks in a joint Monday filing. Burroughs, however, asked the lawyers Wednesday to limit the duration of the trial. Judge Burroughs asked the attorneys whether they believed space in her courtroom would be sufficient and — expecting significant public interest in the trial — determined the case may require an overflow courtroom. Burroughs — who serves at the U.S. District Court in Boston — will adjudicate the allegations of discrimination in the October trial without a jury.